Weco union tees-flow tees also known as Integral Fittings provided by CCSC are widely used when drilling ,flushing, well testing, well cementing, well fracturing, well production etc., our flow tees weco union tees are designed and manufactured in accordance with API 6A and API 16C standard and they are improved from SPM,FMC series Integral Fittings. 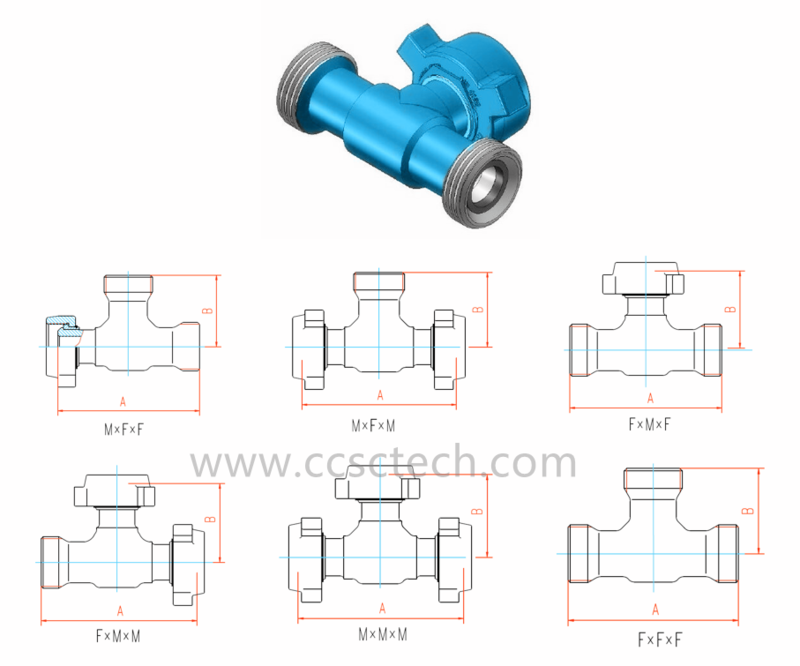 We offer many kinds of structure integral fittings tees with Weco wing union end connections as below. ●Acidizing& fracturing lines, well testing lines ● Crude Oil and Sour Gas, Mud.